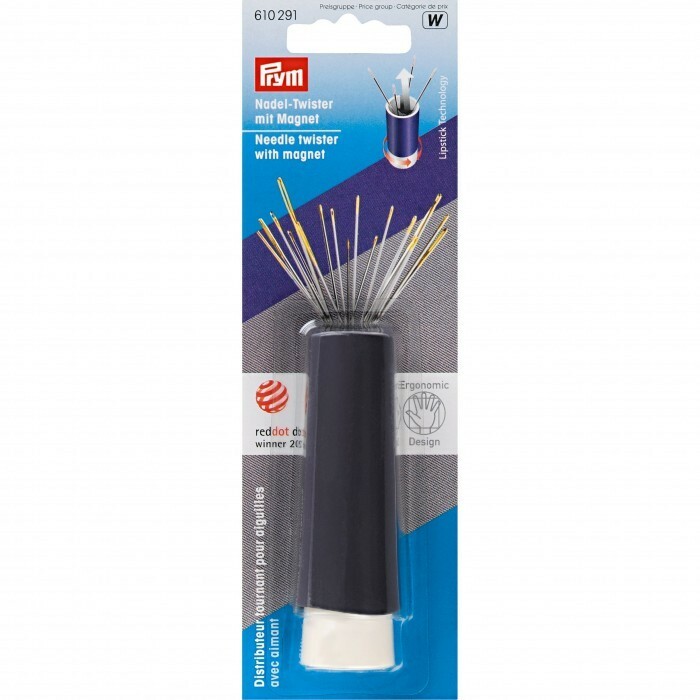 Prym’s Needle Twister is a brilliant tool for storing your sewing needles and darning needles. It has even won the Red Dot design award in 2011. The Needle Twister works a bit like a lipstick (and actually looks like one too), since you lift the cap, place the needles in it and when you need them, you simply twist the bottom and the needles are pushed up / twisted out. But do not worry, they do not fall out, since there is a magnet at the bottom of the Needle Twister that ensures that the needles stay in place until you remove them.